That red area is where I banged my head when learning DAX. The learning curve shoots up wildly in the middle of learning the technology, instead of a slow gentle curve. 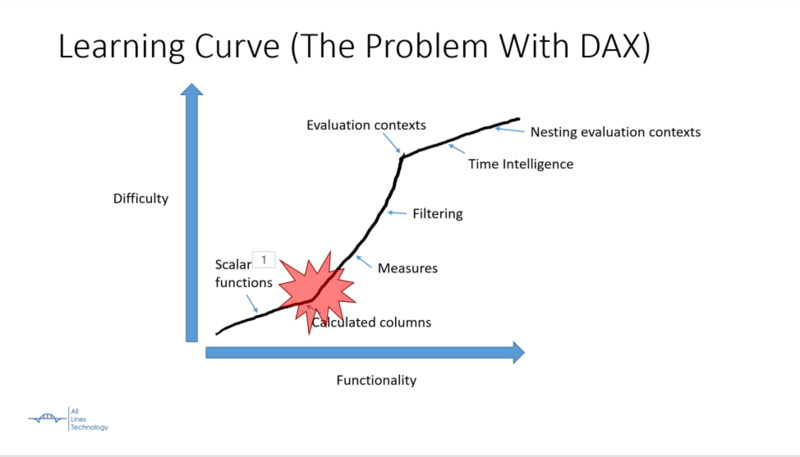 This presentation covers the middle parts that are key to understanding DAX.